Ryan Eisenacher is the content marketing manager at FilmTrack, the leading SaaS rights management solution for the media & entertainment industry. 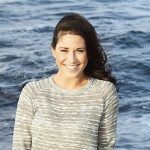 With over eight years of experience leading content strategy and implementation for both B2B and B2C industries, she has worked in startup, agency, and nonprofit environments, developing social media and content marketing campaigns for Goodwill Industries, The National Disaster Search Dog Foundation, The San Diego Union Tribune, and more. Follow @FilmTrack on Twitter and Ryan on LinkedIn.